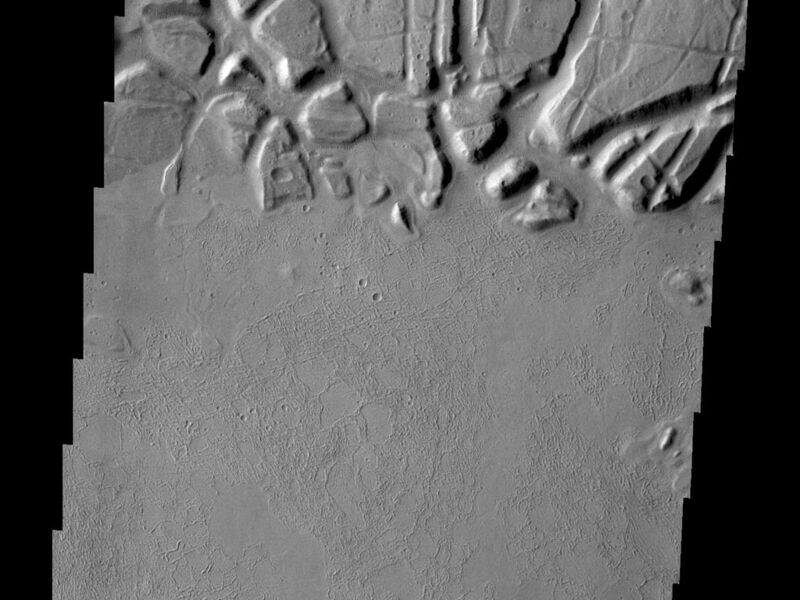 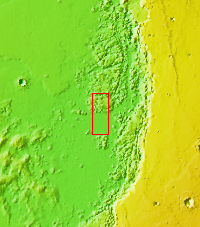 Echus Chasma forms the boundary between the Tharsis volcanoes to the west and Lunae Planum to the east. 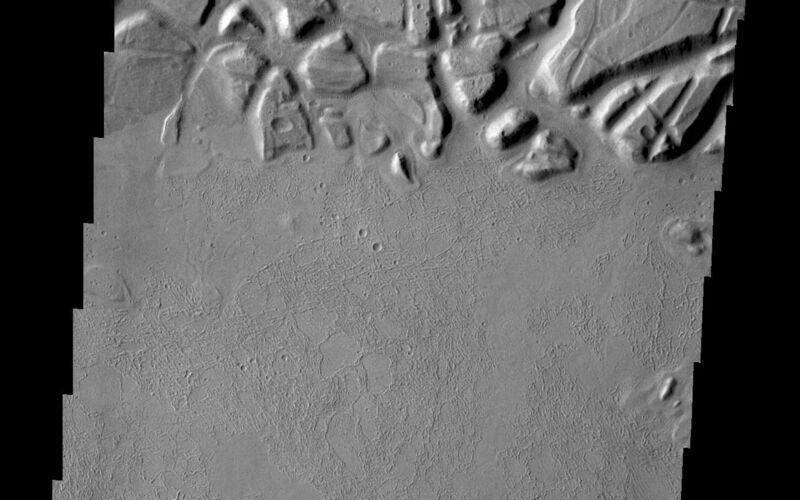 This region is one of both tectonically fractured rocks (top of image) and volcanic flows (middle and bottom of image). 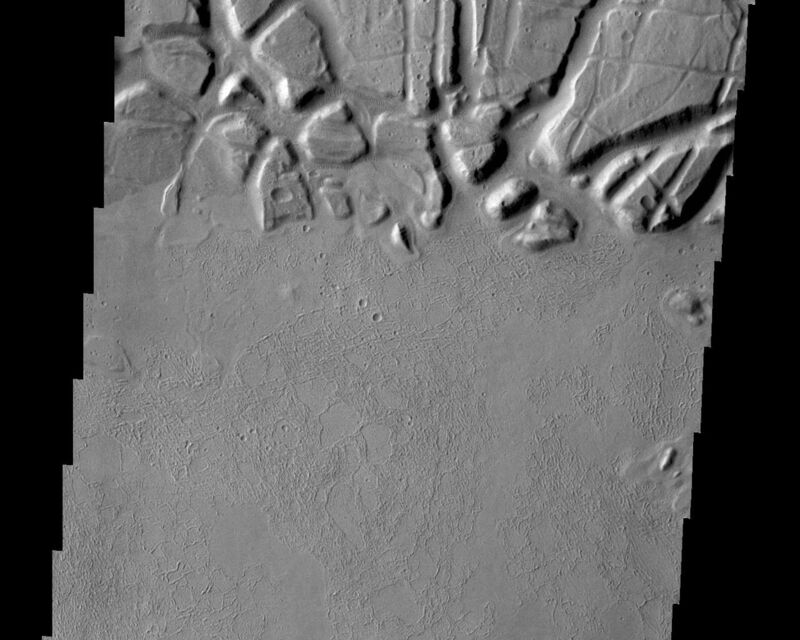 Echus Chasma empties into Kasei Valles.